Bienvenue à Arrowhead Chalet # 1666 - Mountain Village à Big Sky Ski Resort, Big Sky Montana. Arrowhead offre / l'accès aux pistes de ski pour les remontées mécaniques et est situé à distance de marche des centres commerciaux, des restaurants et des remontées et la location de vélos. Ce chalet entièrement meublé comprend: cuisine complète; lieu pour manger; le salon; laverie; 4 chambres à coucher; 4 1/2 salles de bains; une terrasse privée à l'étage principal; et un nouveau jacuzzi extérieur Hot Springs sur une nouvelle plate-forme de niveau inférieur. Personnes comprennent: deux lits queen, un plein et trois lits jumeaux. Big Sky Town Center est à 10 minutes en voiture où vous trouverez des commerces, épicerie, un terrain de golf et plus encore! Parc national de Yellowstone et de la ville de Bozeman sont à moins d'une heure de route de Big Sky. 8 people for a long weekend. Great location, home and hot tub! Tons of room. Will definitely come back! Perfect location right at base and 50 yards from Scissor Bills and ski rental shop. Easy ski in/ski out and never needed car the whole week. We were 7 guys on annual ski trip and plenty of room for everyone. Will definitely be back as everything about this house is great- nice hot tub, plenty of bathrooms, wifi worked great and comfortable beds. Extra bonus for the hand dryer and heated beach by the front door- awesome!!!! Owners and management company were a pleasure to work with. Excellent location. Well maintained property with lots of room. 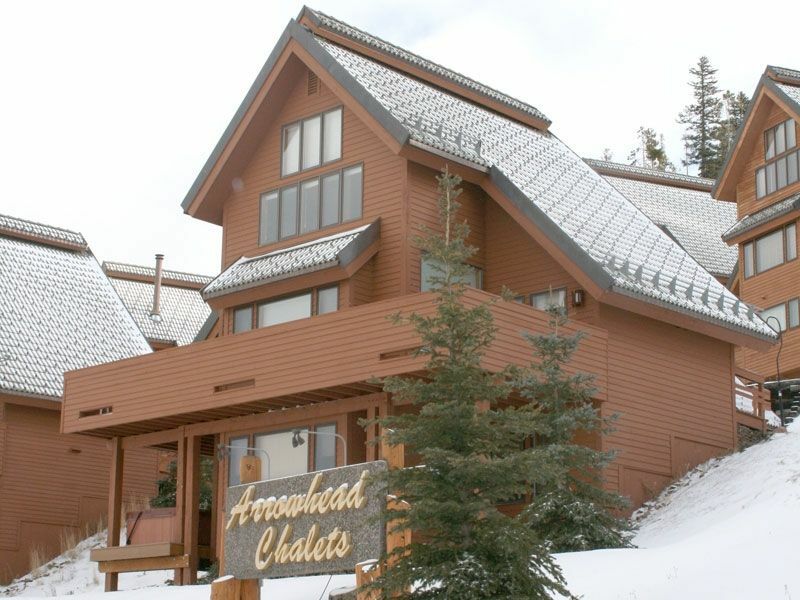 To reach each of the Arrowhead Chalets you have to walk either a short or long distance on a snow covered path. So location is pretty important during the winter months for someone hauling a bunch of luggage. This unit(1666) is located only about 75' from the building which houses the stairs/elevator to reach the parking level.That building(Lone Mountain Sports) also houses 2 bars/restaurants and a ski shop. Despite the proximity to that activity, it was always quiet in the unit. Skiing out means walking the path to the back of the Lone mountain Sports building and then climbing a short hill. You can then ski down to the lifts. Skiing in means talking the Silver knife run (moderate blue) to the path leading to 1666. If you don't want to deal with Silver Knife, then you ski down to the base of the resort and walk a short distance to the elevators in Lone Mountain Sports. The unit itself is clean, spacious and updated. A king bed instead of a full in the master bedroom is the only change we would like to see before renting it again. The ownership company was prompt, professional and a pleasure to deal with. Lots of BRs and bathrooms makes it great for big families. Location makes it easily accessible. Spacious, comfy, and great location! We loved that everyone had their own room and bathroom and that the condo was well-stocked with things we needed! We could walk to everything: meals, grocery store, lifts, and shops. Very nice condo with a preiere location. Perfect for our two families to get together at. Located right next to the slopes for easy access. There is a minimum of a 4 night stay.